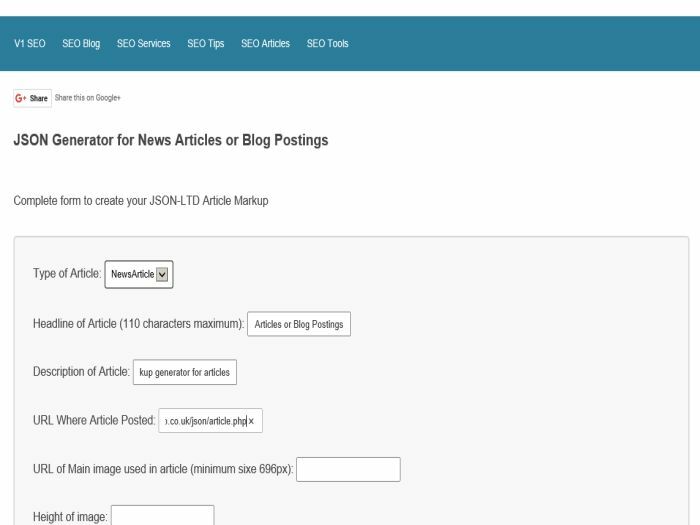 The UKSBD JSON-LD article markup generator helps you create valid JSON-LD markup for Articles, News Articles, Tech Articles, Blog Posts, etc. Simply complete the form below to create your JSON-LD Article Markup and copy n paste it within your own article. This tool provides the basic semantic markup required for articles, to find out more visit Enabling Rich Snippets for Articles at Google Developers.